For one weekend only, The Lexington near Kings Cross will be serving Raasta Khaana's Bombay Streetfood, including DIY Pani Puri, Bombay Sandwiches, Ragda-pattice, Pav Bhaji. As they put it, it's a very Indian kind of tapas! "Offering mouth-watering snacks straight from the streets of Bombay, Raasta Khaana pop-up kitchen teams up with The Lexington to bring you a small taste of India. Raasta Khaana, literally translated as Street Food in Hindi, specialise in typical grab-and-go Bombay street food, introducing Londoners to a genuine taste, vibrancy and wonderfully theatrical way of enjoying good food: A very Indian type of tapas! 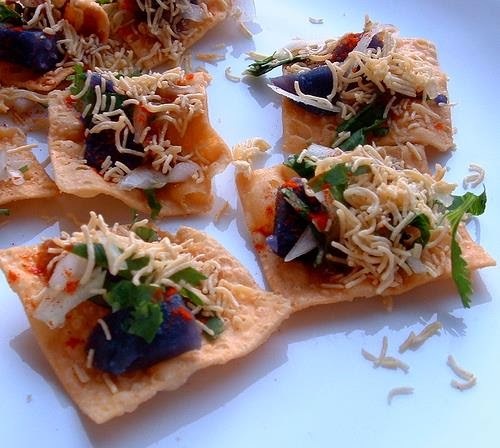 Expect their famous DIY Pani Puri, Bombay Sandwiches, Ragda-pattice, Pav Bhaji, and Berry Pullao and you have a showcase of dishes they are proud to call a taste of Bombay! Join the Raasta Khaana Lexington kitchen takeover adventure this Saturday, 12 noon - 10pm and Sunday from 12 noon."